Kundalini Shakti, Spiritual Energy, Understand the Real Energy of Body, How to Activate Kundalini Shakti, Benefits of activating Kundalini Shakti, Symptoms of risen Kundalini. Before starting the article i want to clear one thing that this article is not only a article i personally do the kundalini saadhnaa by grace of my great Guru, so i am sharing the reality of this saadhnaa , i also want to clear that i am not complete i have not passed through all the stages of this saadhnaa some knowledge is based on reading the epics on kundlini and told by my guru. Kundalini Shakti, the spiritual power within the body, the real power within the body, the divine power within the body in simple word the magical power present within the body which when arise can change the view of a person. This is the real energy which transform a person when wake up. The Main goal of every spiritual practice i.e. meditation, chanting. swadhyaay etc. is to awaken the Kundlini shakti i.e. the real spiritual power. until our kundlini shakti awaken we would not say that our spiritual journey has started. so kundalini awakening is not only important but is must for the spiritual seekers. Now the question is that What is Kundalini shakti ? As i said earlier that this is a real power present within the body , this is the spiritual power present within the body, this is the divine power present within the body but to understand in simple words i can say that kundalini is a sleeping , dormant, potential force in the human. it is also said to be one of the component of subtle body(sukshm sharir). Next question is where Kundalini shakti Resides in Body ? Kundlini shakti resides at the base of spinal cord of every human being i.e at muladhaar chakra.Muladhaar chakra is a place at the base of spinal cord from where subtle channels(naadis) rise up through the spine and reach the brain. Three naadis are very important from the spiritual point of view i.e. susumnaa, ida and pingla. Before understanding the benefits of kundalini jaagran we must understand about the spiritual journey of a person, so now the question arising that what is spiritual journey let me reveal you the mystry of spiritual journey, when awaken kundalini moves within the susmna naadi to reach at brain i.e sahasrdhaar many different types of mysterious experiences happens which is very much interesting for a meditator and this journey of kundalini from all the 7 chakras is called the spiritual journey. So now after getting the knowledge of kundalini shakti we are able to know the benefits of kundalini jaagran, actually what happens that the journey of kundalini purifies the person body and make free the person from his sanskaras of many births which he took in the past. That's why kundalini awakening is very important, it not only free from sin an virtue but also increase the hypnotic power of a person to get a successful life in this world. This change the way of a peson see the world, he become a seer(drashtaa). 1) When kundalini passes through the Muladhaar chakraa then person riddance(chutkara) from many types of tensions and lead to true happiness, beauty, physical strength and health,hypnotic power. 2) When Kundalini passes through swadisthaan then person get free from stomach ailsments, increase in courage, sexual power, fearlessness etc. 3) When kundlini passes through Manipur chakra then person gets free from the digestion problems, kidney stone, diabetes, liver problems etc. Amazing types of power can be attained in the kundalini saadhana like, flying in the air, walking on water, telepathy,understanding the animals and plant language etc. 4) On passing through the anahat chakra we can get the power to probe into the future, hypnotic power, samadhi(trance), incrase many types of emotions like love, affection and kindness. 5) When kundalini activate the vishuddha chakra person gets free from throad, thyroid etc.,increase in knowledge,samadhi, perfection in hypnotism, power to die as per the wish,gets the materialistic success like health, wealth, fame, also gets the divine voice etc. 6) On activation of Aagyaa chakra i.e. third eye miraculous powers come in a person like telepathy, divine vision power, power to bless or curse, to fullfill any wish instantly, power to gain knowledge of any subjects and sciencees,power to control others thought etc. 7) On awakening of sahasrdhaar chakra a person liberated from the worldly bondages, he gets the Ast siddhis and become the all. He becomes one with the world, he become one with the universe etc. Keep Rememeber : The Kundlini saadhna must be done under the guidance of a siddha or competant GURU.But reality of this present era is that only fortunate person can only get the real guru. 1) Intense warmness or cold when energy passes through the chakras. 2) Special visions or sounds associated with a particular chakra. 3) Spontaneous pranayama, asanas, mudras and bandhas. 4) Headache or pressure inside the skull, pains in different body parts. 5) Loss of appetite due to overheating. 6) Feeling of divine love, sometime depression. 8) Manifestation of different types of knowledge which we didn't know in past. 9) Muscles cramps or spasms , spontaneous jerks. 10. Some times person start visiting the temple. 11. These people like to sit with only spiritual persons. 12. Some times sit silently in closed or open eyes, tighten the teeth, shouts violently, or sit calmly for hours etc. 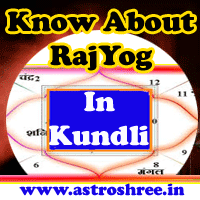 How to awaken The kundlini ? There are many ways to awake the kundlini some of them are hata yoga, bhakti yoga, guru grace, tantra yoga, lay yoga, chanting yoga, shaktipat etc. But my personal experience tells me that shaktipat yoga is the best and safe way for kundalini jaagran and is done by a competant guru only. so i request you to pray to get a real guru of shaktipat but that doesn't means that you just sit and wait for a guru to come and give you shaktipat. if you are a real seeker then start meditating now and pray you will automatically get in touch with a competant guru. Again i also want to tell you that for this real sadhnaa, kundalini saadhna there is no need to leave this world and become saint, on doing this saadhna you will become the real sain on this world spreading the fragrance of love, truth,karmayoga, bhaktiyoga etc. So Now what ? Start Now your Journey ! Meditate ! Meditate and Meditate whenever you get time , where ever you get time. How To Activate Hidden Powers? Kundalini Shakti, Spiritual Energy, Understand the Real Energy of Body, How to Activate Kundalini Shakti, Benefits of activating Kundalini Shakti, Symptoms of risen Kundalini, Inner awakening.